Originally, the night began with my friend Aaron and I planning to try one of the hottest Mexican restaurants in Seoul, Vato’s Tacos. Unfortunately, I should have heeded my Korean coteacher’s warning that we should have called for reservations at least one day in advance. I walked up their stone stairs to be greeted by a crush of Koreans waiting to get their hands on some comida mexicana. There was a two hour wait, so we decided to cut our losses and find somewhere that wouldn’t be overflowing with people. I will return there to try their tiny tacos, so it’s not adios but hasta la proxima, Vatos Tacos. 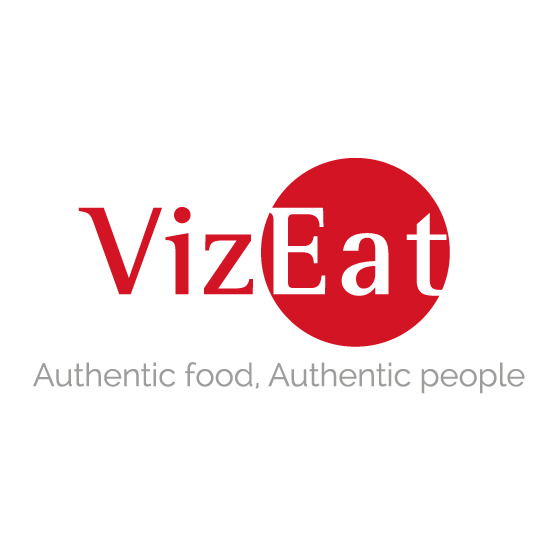 We decided to take a back street that a lot of people were coming out of, and we were thrust immediately into a very cosmopolitan street that was lined with restaurants from all corners of the globe from Brazilian to Greek. I wanted to try one of the Brazilian steak houses, but they were a bit too expensive for our liking. Instead, Aaron saw a Russian sign that said, “Troika” and asked me about Russian cuisine. We settled on trying it, and immediately we were worried when we walked under the sign. 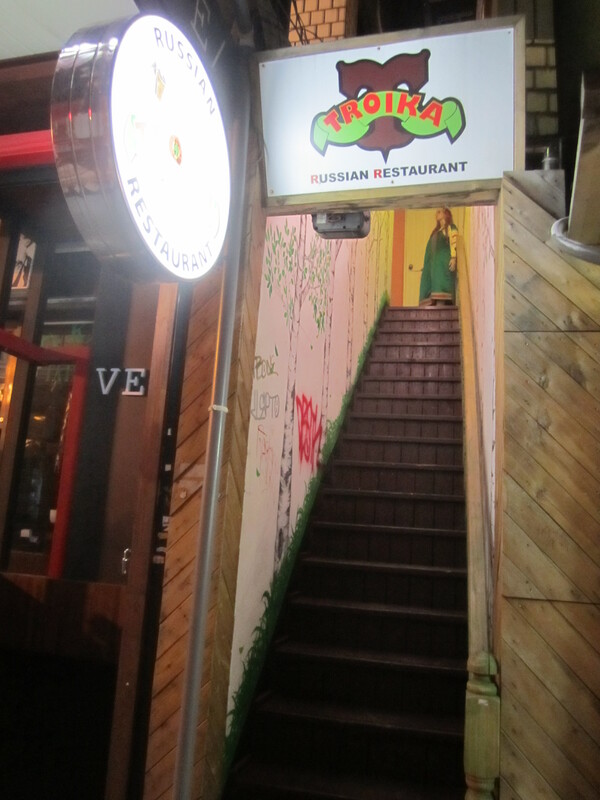 Instead of there being a storefront, there was a long and dimly lit flight of stairs with some grafitti adorning the walls with a woman dressed in Russian traditional garb at the top. I found out later that Aaron thought that we were going to walk into a den of inequity since a lot of Russians in Korea are brought over as prostitutes, but thankfully we were greeted with a small restaurant that was interesting to say the least. We were immediately seated by our waiter who was dressed like someone straight out of one of Chekov’s or Gogol’s novels, i.e. like a Russian peasant complete with valenki (boots) and a flat cloth cap. The waitresses were also adorned with the traditional women’s dresses and headdresses. 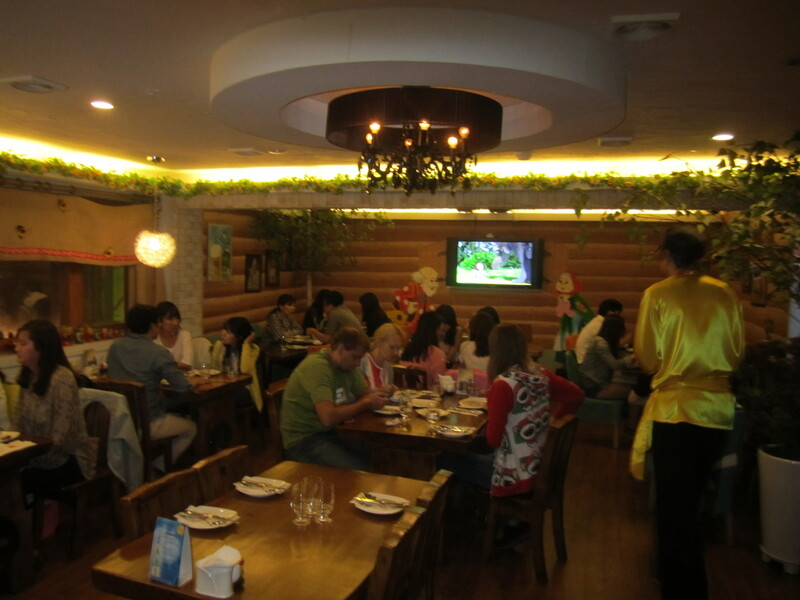 The interior of the restaurant is also decorated like a dacha or summer cottage that many Russians go to in order to escape the madness of big cities like Moscow and St. Petersburg. So if you’re into Russian kitsch like Matryoshka dolls and paintings of bears with balalaikas (like me), this is your heaven. Also, the name of the restaurant, Troika, is a three horse sleigh that is a symbol of Russia. Before ordering my waiter asked me if I was Russian due my general appearance, and it seemed that the only foreigners who came in were Russian. The rest of the patrons were Korean. I ended up choosing the Kartoshka po Derevenski (14,300 W) and a Baltika Russian Porter (8,000 W for a half liter). When they both came out, I was extremely excited. First, there was the beer. As I have mentioned in previous posts like “Hair of the Waygookin“, Korean beer is like drinking carbonated, yellow water, i.e. a beverage devoid of any real flavor. 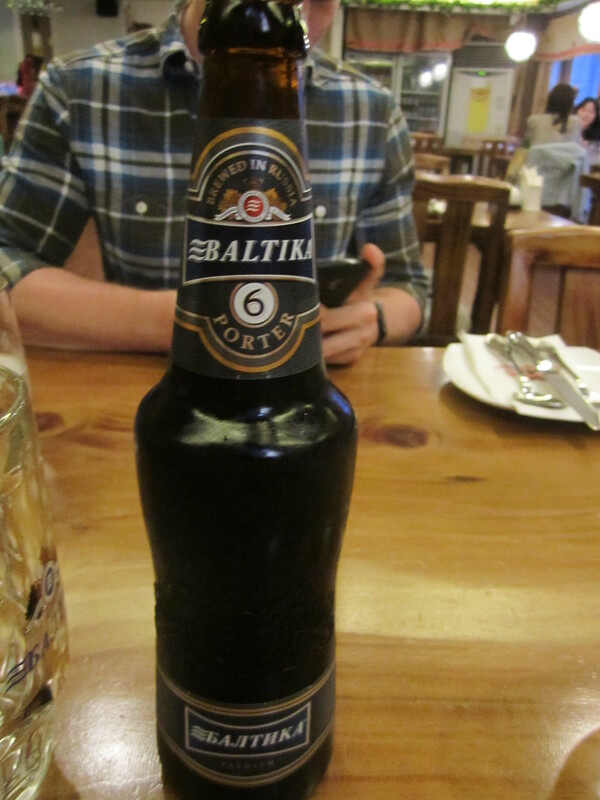 The Baltika number 6, however, was as dark as night and possessed a flavor that was full-bodied yet understated in true Russian fashion. Then there was my meal that came out in a large, hot skillet. 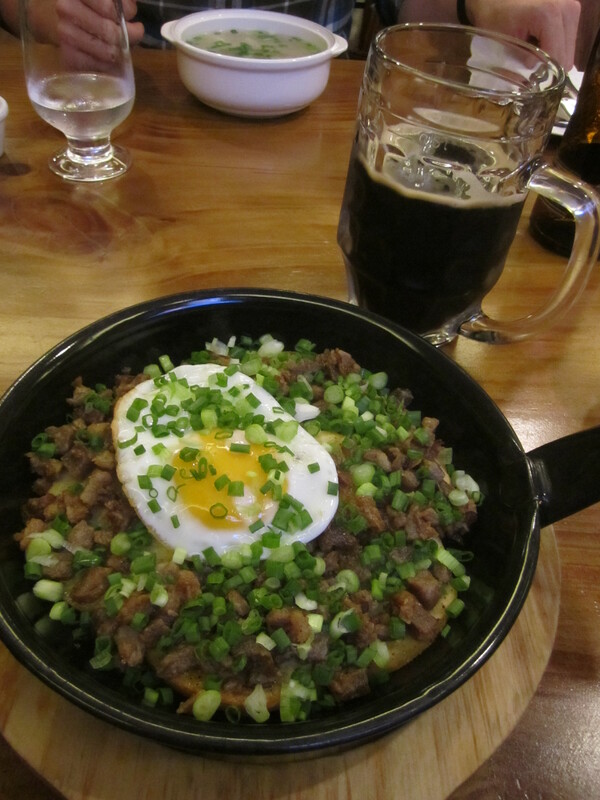 It was the Russian version of an American skillet where there was a base of fried and seasoned potato slices which were covered in tiny pieces of fried pork. On top of this carb and protein mountain resided a fried egg and tiny green onion slices. It even came with the ubiquitous cup of Russian sour cream on the side. I just had to take a long look at my meal because it was so non-Korean it hurt, but I got down to business quickly. The potatoes were expertly fried and not greasy at all. The pork crumbles were not seasoned but provided a bacon flavor profile to the dish. As for the egg, it was a bit like gilding the rose because it didn’t bring much to the meal aside from more protein and presentation points. The same could be said about the green onions. Then again, I love green onions, so I wasn’t complaining that they were there. In the end, stumbling upon Troika was a wonderful episode of happenstance. If you’re looking to try a new type of cuisine or just are looking for simple, old-fashioned meat and potato type fare, give Troika a try.